Peter had a great idea! Build three booths or tabernacles for Jesus, Moses, and Elijah! I’m sure it was meant well, but Peter isn’t the one to do the talking. “This is my Beloved Son, listen to HIM!” And Jesus will tell His disciples that He must go to Jerusalem and suffer, die, and rise again. It’s Transfiguration Sunday this weekend and there we have a glimpse of Jesus’ divine glory before He goes to Calvary. (In the One Year Series of Readings, we celebrate Transfiguration a few weeks before Ash Wednesday). True God and true man. We see both on that holy mountain. 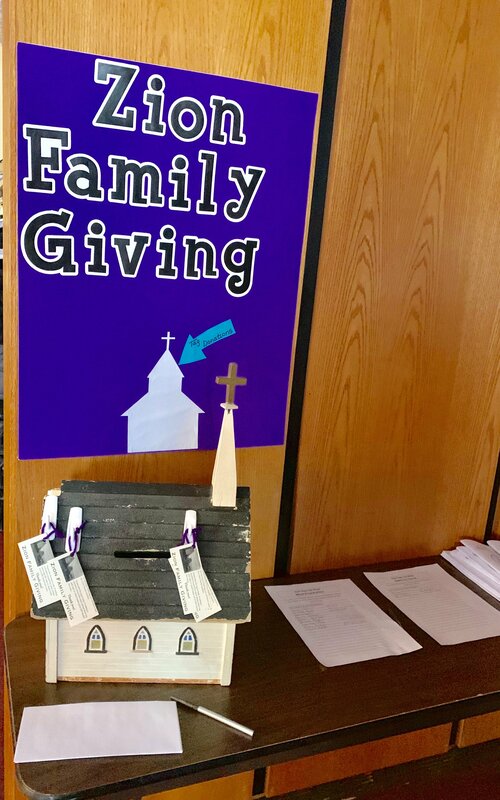 Don’t forget our “Zion Family Giving” station in the narthex. If you have the means, please consider helping with one of the tags showing a need for a family at Zion. Conversely, if you are in need, please let pastor know so that we might be aware of how we can help you. It’s caring for one another in the Body of Christ! “Listen to Him!” is the Father’s reminder that Christ’s Word is a gift. It’s the Word that saves us and delivers us from sin and death. I’ll see you in the Divine Service this weekend as we “listen to Him,” to Jesus, to hear the Good News He delivers.